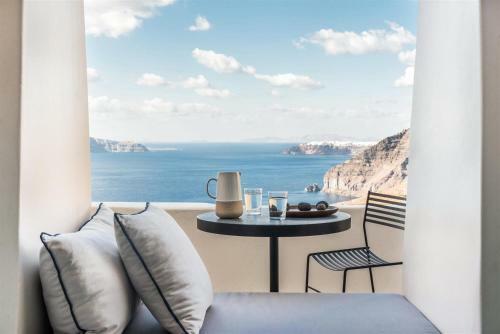 The 4-star Porto Fira Suites is located in Fira, Santorini. Porto Fira Suites common facilities include restaurant, bar, a la carte restaurant	and outdoor pool. The property provides accommodation in double room, family room, suite, honeymoon suite, junior suite and other might be available upon request. The rooms provide sea view. Amenities of the rooms include air-conditioning, heating, tv, satellite channels, etc. In the bathroom there are hairdryer and free toiletries. Fields with * are required. The enquiry is sent directly to Porto Fira Suites.